and a rocking nightlife. Before planning your next Florida beach vacation, learn What You're Missing on Okaloosa Island! Food, fun, entertainment, and a premier public beach is found at the Boardwalk on Okaloosa Island! Stop in to one of the several shops offering apparel, jewelry, and beach gear. Not much into shopping? The Boardwalk's eateries are sure to fill you up on delicious Gulf Coast cuisine. Rockin Tacos, the newest restaurant on the boardwalk, puts out artisan tacos with a stunning tequila flight. Another favorite is The Crab Trap which serves up delicious seafood beach side. Looking for entertainment and nightlife on Okaloosa Island? Well, you're in the right place! Al's Beach Club in the Okaloosa Island Boardwalk is the areas hottest nightclub, with live music, drink specials, and concerts! Searching for a more relaxed atmosphere? 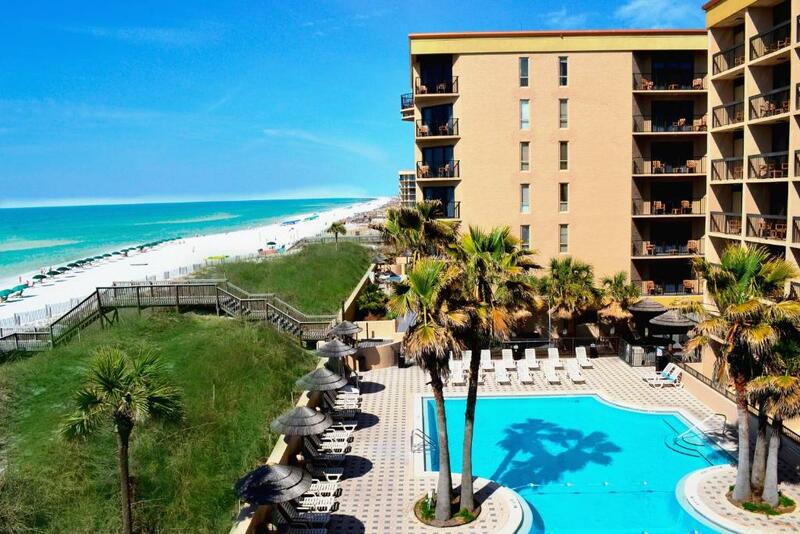 Just minutes away, walking distance from many Okaloosa Island hotels and condos, is Fubar. Games, live music, and dozens of high definition TV screens make for a perfect place to chill after a long day at the beach. Okaloosa Island has plenty of places for adults to play, but also proves a prime location for children and families. 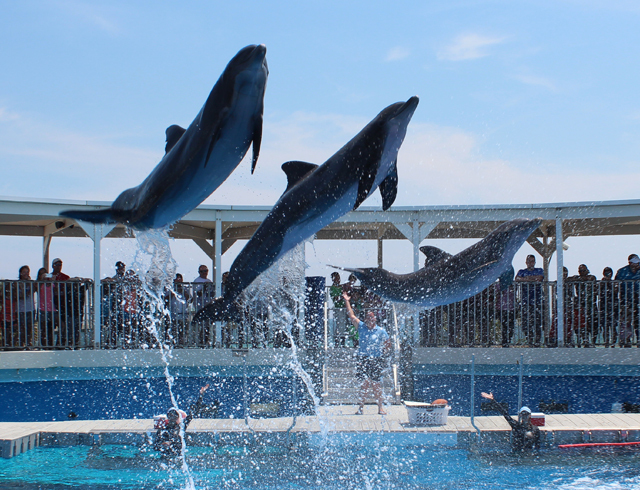 The thrilling Gulfarium Marine Adventure Park hosts dolphin shows and animal exhibits at an affordable price, while Wild Willy's Adventure Zone gives kids the chance to bungee jump, zip line, and putt putt their way to a memorable vacation! Nearby Tours & Attractions: The Destin Harbor is just a short drive from Okaloosa Island hotels and condos. Tours and attractions including deep sea fishing, parasailing, and boat cruises are just some of the exciting things to do in Destin, Florida. Beachfront Resorts with plenty of family amenities make up the bulk of Okaloosa Island lodging. Stunning ocean views within walking distance of dining, shopping, and nightlife are one of the top reasons visitors choose to stay on "The Island." With lower rates than your typical Destin or Miramar Beach Resort, Okaloosa Island lodging is also easy on the vacation budget! For a full list of exciting activities and attractions on Okaloosa Island & the Emerald Coast, visit Okaloosa Island things to do at TripShock.com!